First and foremost, these days it is all about European style, which has come to the U.S. in a sleek and integrated kitchen cabinet designs. Keep in mind that cabinets are a large part in your kitchen budget; however, what you choose in the long run will impact your home’s style and functionality. If you are thinking of building or remodeling this year, check out the latest and hottest trends, which goes from hidden storage, integrated handles, sliding doors, and high-gloss laminates. Integrated handles: They are hotter than ever; they come in several formats, which include a continuous on a cabinet bank. However, they are only available in semi-custom and custom lines; they are widely available in individual drawers and door styles. Hidden cabinets are in now; they are mainly invisible, which are designed to make the kitchen blend with the space harmoniously. Frameless cabinets: Europeans mainly prefer this style and IKEA must be thanked for this upcoming trend. Euro style frameless goes together with the mass market affordability, at the same time, American cabinet manufacturers want to take notes concerning the traditional face-frame manufacturers who are offering frameless lines. They are more accessible cabinets, wider drawers, and benefit the environment with fewer materials used. Most traditional kitchens are into simplicity, and it is rare to find new kitchen with ornate and over-the-top designs. Sliding doors: They are a great cabinetry trend. They are often used for camouflaging characteristics, but sometimes they can be used to add accent. Keep in mind that new hardware hinge easier with automated opening and closing, similar to a minivan. Most kitchen cabinets have been accessorized with an in-drawer and door section organizers. The organizer makes is easier to store items around the kitchen; thus, making work easier for you. Wood is mostly used on traditional cabinets and metal and plastic for a more contemporary look. Light-emitting diodes (LEDs): For a more sophisticated cabinetry design, LED lighting is a great addition. Not only can it be used for display purposes, but also for making it easier in locating contents in deep drawers. Tablet mount: An under cabinet tablet mount works out for anyone who might want to watch a cooking video, check your emails or have a personal Skype call. 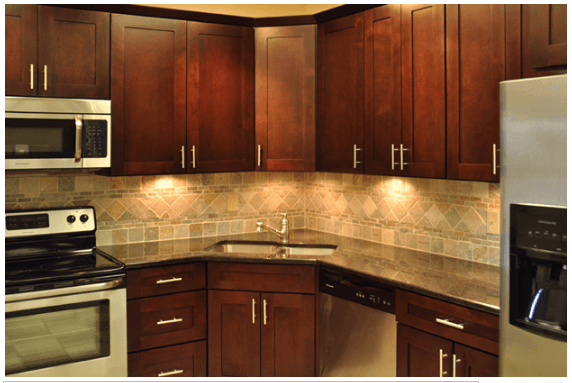 There are some ways that you might have used to make your kitchen more attractive and beautiful which you might want to share, feel free to contact us at Premium Cabinets of Tulsa. My sister recently purchased an older home with her husband. She wants to have different upgrades done to the home, starting with the kitchen. I didn’t realize there are custom wood cabinets that have LEDs built into them to help display the area. I’ll be sure to share this info with my sister. Thanks or the article about kitchen cabinets. I didn’t know about frameless cabinets so it was interesting to learn that they not only have wider drawers but also use fewer materials. I wouldn’t mind seeing what these look like, especially in different spaces just to see what the possibilities are.